When consultants do Quality of Life (QWL) Surveys in organizations of all types, the issue of “communication” invariably comes out as being the number one or number two frustration of people in the organization. It seems that we have a primary problem cornered, right? Wrong! Just because we know communication is a huge problem in most organizations does not make it any easier to solve. Communication issues are still at the root of many frustrations, and the problem exists at all levels. We could dissect all aspects of communication, but in this article I would like to focus on listening skills. Human beings are good talkers, and we actually read body language pretty well. Most of us can write instructions or emails well enough to be understood, at least most of the time. We are habitually weakest at grasping the full meaning when people are talking to us. We are usually able to grasp some bits of information, but we often miss the full significance of what the other person is conveying. For supervisors, the ability to listen more carefully is one of the most significant improvement opportunities, but that is easier said than done. In this article I want to discuss Reflective Listening and reveal four skills that will make your listening vastly more powerful, if you use them well. They create the opportunity to use a more interactive and integrative approach to grasp incoming information more completely. 1. Attend to the person who is talking. Put down your phone or other distraction and pay attention. Make sure you are in a place conducive to a serious conversation, not on a noisy shop floor. 2. Listen with an intensity high enough to be able to paraphrase the main points from time to time. 3. Insert short “reflections” into the conversation that indicate your understanding and that you are following the conversation. The skill of reflective listening is not consistently practiced for one good reason. Most people can talk at a rate of about 150 words a minute (give or take some), while our brain is capable of thinking at 400-600 words per minute or more. With 2-3X idle time between the words, our brain has a lot of spare time while listening. When we think that we are listening, what we are usually doing is using most of our mental processes getting ready to speak, or thinking about what we have to do after the conversation is over. The reflective listening technique forces us to keep more concentration on the words and body language that are coming in, so we can absorb more of the meaning. There is a catch here that most people miss. It is difficult work to force one’s mind to adhere only to the conversation when there is so much spare capacity. This is where well developed skills can make a huge difference for you. Don’t use reflective listening on a routine basis. Your brain will quickly blow a fuse, and you will be right back where you started. Most conversations we have on a daily basis are casual conversations where we can get the gist of meaning while the mind is occupied with our own process. Do not try to use reflective listening for 100% of your conversations and you will do a lot better. Roughly 10% of conversations will be significant. You will be dealing with an emotionally charged situation or a person in an emotional state. The speaker will be angry, confused, giddy, frustrated, or any number of other highly emotional states. For those few conversations, you can use reflective listening and relax with your old habits for the majority of conversations. For that particular conversation, I kick up the intensity of reflective listening and try to absorb the true meaning of every sentence and gesture. Then I go back to my normal pattern of mental activity for the non-emotional discussions. This technique has worked for me over the years. I am far from perfect using the method, but I am far better than if I only had one mode of listening. When you intensify your listening, you can use other senses than just your hearing. You can use your sight to notice the body language: the cues that the other person give that show their emotional response to the discussion. You can also use your sense of touch, to notice how your own body is responding to what the other person is saying. Is it stressing you? Are you tightening anywhere? Are you triggered? You can also use your sense of touch energetically, to feel the emotions the other person is sending out. In being aware of all the subtleties and being discerning in what you receive, your senses can help you truly understand what the other person is trying to convey, which helps you get to the heart of the matter. Don’t feel you have to start speaking the moment people stop talking. It is okay to take a moment to regroup and consider your response based on everything they have communicated. This pause lets people know you are thinking, and they may even add something else that is helpful. Their response to the pause is additional information. Learn how to ask insightful questions that help get to the heart of the matter, the meat of the situation. An insightful question lets people know they have been heard and that you are interested, ready to hear more, and are taking them seriously, which builds trust. If you are a supervisor, put on your “listening hat” at the right time and place, and open your senses see if it improves your ability to absorb and respond to conversations that are critical. Supervisors are increasingly called upon to communicate with crews online rather than face to face. This may be due to people working in other locations or working on different shifts. Communicating effectively online is a very different process from communicating face to face. I wrote an entire book on this topic, entitled “Understanding E-Body Language: Building Trust Online.” In this brief article, I want to share a dozen tips for improving online communications. Overarching consideration: Use the right mode of communication – often email or texting are not the right ways to communicate a particular message. 2. Keep messages short. A good email or text should take only 15-30 seconds to read (texts as little as 2-3 seconds) and absorb. Less is more in online communication. Try to have the entire message fit onto the first screen. When a messages goes “over the horizon,” the reader does not know how long it is, which creates a psychological block. 4. Remember the permanent nature of e-mails. Using email to praise helps people remember the kind words. Using email to be critical is usually a bad idea because people will re-read the note many times. 11. Learn techniques to keep your email inbox clean (down to zero notes each day) so you are highly responsive when needed. Adopting proper distribution rules in your organization will cut email traffic by more than 30% instantly. 12. Understand the rules for writing challenging notes so you always get the result you want rather than create a need for damage control. Proofread all notes carefully. Think through how the other person might react from his or her perspective rather than you own. • Supervisors know how to use electronic communications to build rather than destroy trust. For supervisors, once you learn the essentials of e-body language, a whole new world of communication emerges. You will be more adept at decoding incoming messages and have a better sense of how your messages are interpreted by others. You will understand the secret code that is written “between the lines” of all messages and enhance the quality of online communications in your sphere of influence. Training in this skill area does not require months of struggling with hidden gremlins. While supervisors often push back on productivity improvement or OD training, they welcome this topic enthusiastically because it improves their quality of work life instantly. Four hours of training and a set of rules can change a lifetime of bad habits. The “VAK” Model (Visual, Auditory, or Kinesthetic) is a wonderful technique to improve communication that any supervisor can use once she has picked up the necessary skills. Its origin goes back to some studies done in the 1970s by behavioral scientists Bandler and Grinder, who proposed that humans have preferred ways of learning information. The model was part of a much larger system called Neuro-linguistic Programming (NLP). The VAK Model hypothesized that each person has a preferred channel for taking in information: either visual, auditory, or kinesthetic (movement, as in learning by doing). The VAK Model is often used in teaching to ensure that people with different learning styles have the same opportunity to learn. It can be used in business and personal situations to establish rapport and increase understanding in communications. The ideas have been debated by scientists over the years, and I have found the VAK Model is very helpful when it is applied to communications in business. In the 1980s, Neil Fleming expanded VAK to include Reading and Writing, so the model became VARK. With all the acronyms, it sounds like a little “hocus-pocus,” but the concept is very simple and amazingly powerful. The idea is to find out what “channel” is the one that the other person prefers and flex your communication style to use that method of transmitting information. Rather than walk through the theory of why this can be helpful to a supervisor, I will share a story that illustrates the point. Many years ago, I was teaching a Leadership Course at Syracuse University. I had just completed a module on the VARK technique, complete with how you can determine the preferred communication channel by listening to the words a person chooses when talking normally. Before the class met the next session, a young female student approached me and said, “It works! That VARK system you taught us really does work.” As the class started I asked the student to tell the story to the entire class. She said, “After our last class, I went to see my calculus teacher. I am having a problem getting the feel of double integrals. I understand everything he is saying in class, but I just cannot make it happen by myself.” Notice the student said she could not get the “feel” of the content (indicating that she is a kinesthetic communicator). She indicated that she and the professor seemed to be on two different planets in terms of communicating and that both of them were starting to get annoyed. She said the professor was getting red in the face and finally put his hands on his hips saying “I just don’t see what your problem is.” BINGO! A little bell went off in her head that she was listening in Kinesthetic, but he was a Visual communicator. The student related that the professor “melted and became like a puppy dog.” He said, “Oh, that is what you are not seeing, let me show you.” She said that in 5 minutes he had explained it so she understood it forever, and they parted the best of buddies. For any supervisor or manager, having the ability to flex your own communication style to match the person you are trying to reach is like a magic potion. The trick is to pay attention to the words the other person uses to describe what is happening. Within a sentence of two the other person will tell you his or her preferred channel by the phraseology. Also, it is important to pay attention to a person’s actions and patterns. The first order of business if you want to become a master of this technique is to determine what your own preferred channel of communication is. It may not be obvious to you, but if you simply go back and read some of your notes in your “sent” file, you will quickly determine your channel. We all use all of the modalities in daily life. The trick is to determine which is used the most and your pattern of usage. Also, think of your learning style. Do you learn best by listening, watching, reading, or doing? It may be different depending on the subject. Doing this type of self-analysis will help you understand how you communicate and learn as well, saving you time in the future. If you can see (again, I give it away here) a potential problem, then pay attention to the specific phrases the individual is using. Once you determine his or her preferred channel, try flexing your normal mode to play into the way the other person receives information. You will immediately see (once again) a huge improvement in the ability to communicate with this individual. You can play this little game without the other person even knowing you are doing it. It’s kind of fun, but it does take time and practice before you will observe improvement. People can be complex in their approach to their world. Keep with it, and you will have great rewards. I have been studying and writing about trust for over 30 years. Today as I was responding to a ping back in LinkedIn, I thought of an analogy that had never occurred to me. Trust acts like a lubricant in that everything works better and runs more smoothly when trust is present. I am a mechanical engineer by training, and I know how lubrication lowers the coefficient of friction which allows machines to run better and not overheat. Let’s explore this metaphor and see how it applies to our everyday life. Here are six ways trust acts like a lubricant. When people are at odds with one another, they often do a lot of talking but very little deep listening. As the differences of opinion, become more apparent, the tone and volume become more heated, just like a shaft would sound if the bearing had gone dry. The scraping and screeching will just get worse until the whole mechanism freezes up. People are often not very kind to each other. We can be rather egocentric and usually think about what is best for number one. We can become abrasive like rough sand paper when other people advocate something that would not be optimal for us. Trust helps fill in the low spots and smoothes out the roughness so people can interface with less friction. When we have a difference of opinion, we often dig in our heels, knowing that our perspective is the correct one. We all wear a button that says “I AM RIGHT.” Trust helps us see that there may be more than one legitimate way to look at an issue, so we have the opportunity to invent creative solutions that work better for both parties. 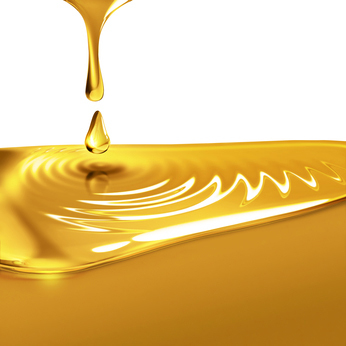 A major function of a lubricant is to lower temperature. The reason mechanical parts overheat without oil is that there is no way to dissipate the heat. Oil in a car engine allows the cylinders to continue their momentum without freezing up. Without oil, a car engine would overheat and seize up quickly, thus destroying the engine. With people, trust wicks off the overheating of emotions and allows people to disagree without being disagreeable. The bond between people will be very strong and supportive when trust is present. Just as lubrication keeps the oxygen away from surfaces that could tarnish or rust, so trust keeps acrimony from destroying the love and affection people have for each other. When trust is high, personal relationships sparkle just like highly polished metal. In the stress of everyday pressures, it is easy to become inflamed or at least anxious. Trust is a kind of balm that soothes the nerves and allows people to be calm in stressful situations. Knowing you have my back gives me more confidence that all will be well. Just as we use grease to prevent stored parts from rusting, we can use trust to keep us well mentally. In any organization, if you have high trust, the entire organization is going to run smoothly like a finely crafted machine. The trust provides all of the wonderful properties of a lubricant. Work to develop higher trust within your organization.